Concrete wire sawing is used for removing large structrures and more. Concrete wire sawing makes the most precise cuts on ridges, beams and piers when it comes to making openings in thick walls or removing large concrete structures. Concrete wire sawing can also be referred to as diamond wire cutting. 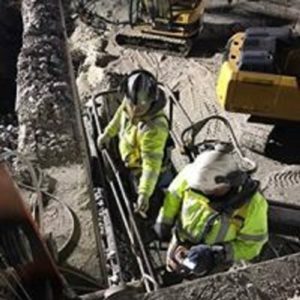 Fine Cut’s experienced operators are able to cut through steel and heavily reinforced concrete. Concrete wire sawing is commonly used for underwater cutting, cuts in restricted or remote areas, cuts that require minimal vibration, anchor door openings and cutting through depths which are beyond the reach of conventional tools. Concrete wire saws are capable of cutting through stone, cinder blocks, bricks, asphalt, concrete and structural concrete. Due to its diamond cutting edge, the concrete wire saw is ideal for segmenting or removing large chunks of reinforced concrete that other saws simply can’t manage. Concrete wire sawing can also be configured to tackle such obstacles as steel nuclear reactors or metal engine blocks. Wire saws have cut solid steel vessels, sectioned submarines underwater to be lifted to the surface, and have sliced through mass reinforced concrete sections weighing in excess of 100 tons. Concrete wire sawing is integral to projects where major modifications are performed and require the structural integrity to be maintained in the remaining structure. Wire sawing is the safest, quickest, and most efficient method of modifying or dismantling mass reinforced concrete structures. 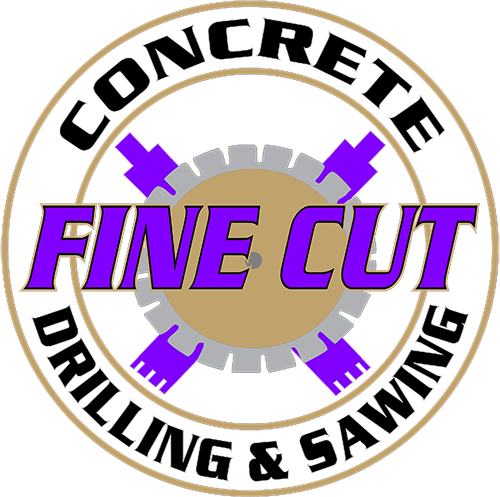 For more information about concrete wire sawing and the other services Fine Cut offers, call (816) 540-5787 or send a message through the link at https://www.finecutusa.com/contact/.